Maersk’s APM Terminals has implemented block rail services from the Lazaro Cardenas port to Mexico City and Houston. These have reportedly been designed to avoid congestion faced by shippers who have previously used the ports of Los Angeles and Long Beach to bring Asian shipments to major demand centers in Mexico and the U.S. Gulf Coast. 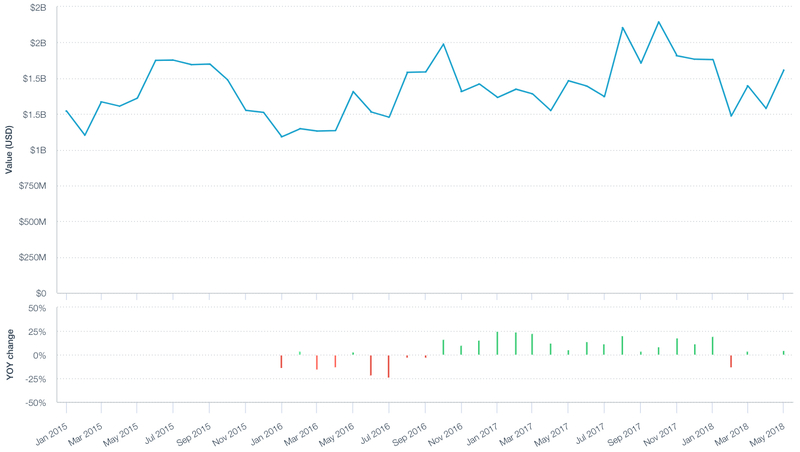 California’s ports can ill-afford the competition after they had their worst month for growth since September 2016 in May, as outlined in Panjiva research of June 15. Infrastructure investments shouldn’t be necessary for the new service, though they could expand given reports that the incoming administration of President-elect Andrés Manuel López Obrador supports further rail investments, RailFreight reports. The move by APM Terminals comes as the port has seen a slowdown in growth. Panjiva data shows the value of incoming shipments to the port increased by 3.5% in the three months to May 31 on a year earlier. That was down from 10.5% in the prior three quarters. 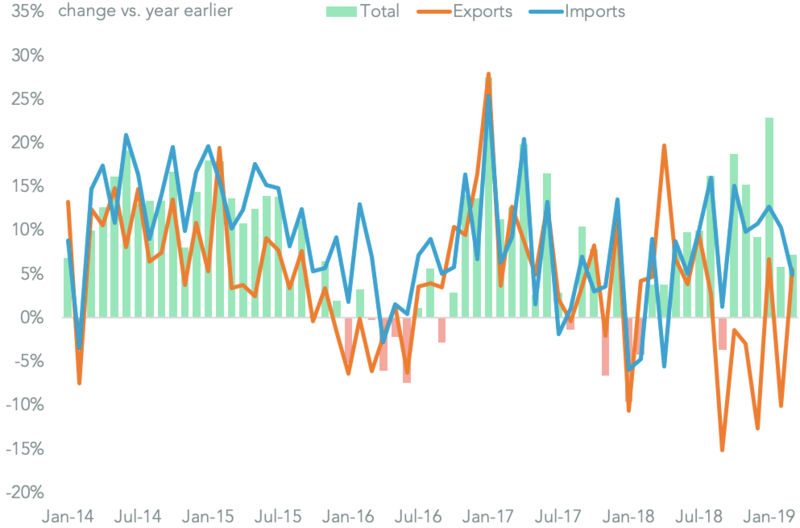 The downturn has been due in large part to a drop in volumes from South Korea which fell 20.1% on a year earlier in the past three months. Shipments from China (including Hong Kong) meanwhile climbed 25.5%. 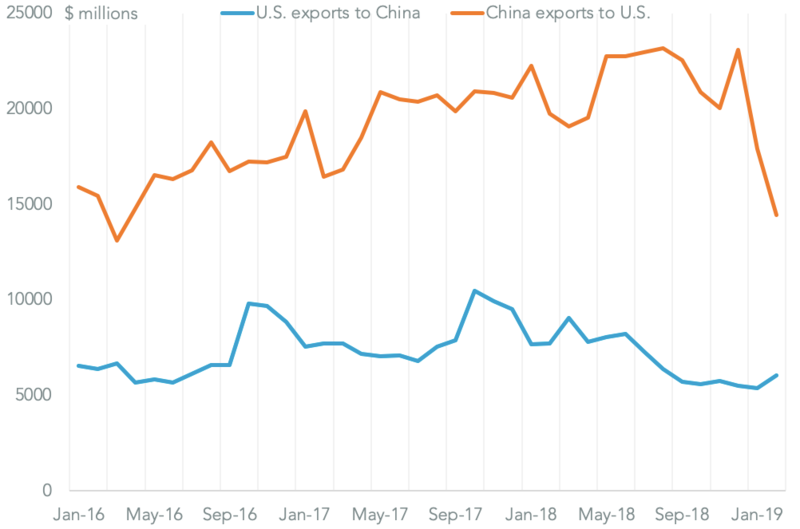 The latter could improve further should the emerging tariff battle between the U.S. and China lead shippers to avoid U.S. ports as a way to ship to Mexico for purely administrative reasons. The block shipping to Houston may face significant competition from Port Houston which has seen an increase in shipments from Asia via the Panama Canal. 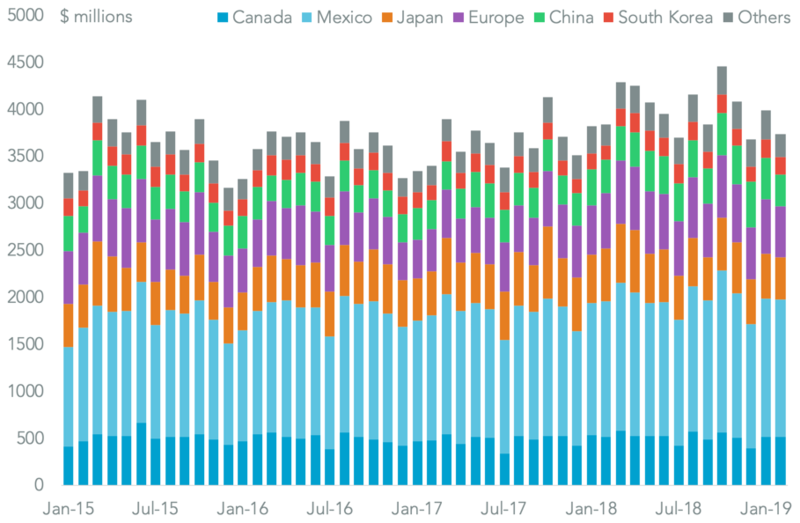 Volumes shipped from South Korea to the Texan port climbed 64.2% in the 12 months to June 30 vs. a year earlier and 3.2x vs. two years earlier. 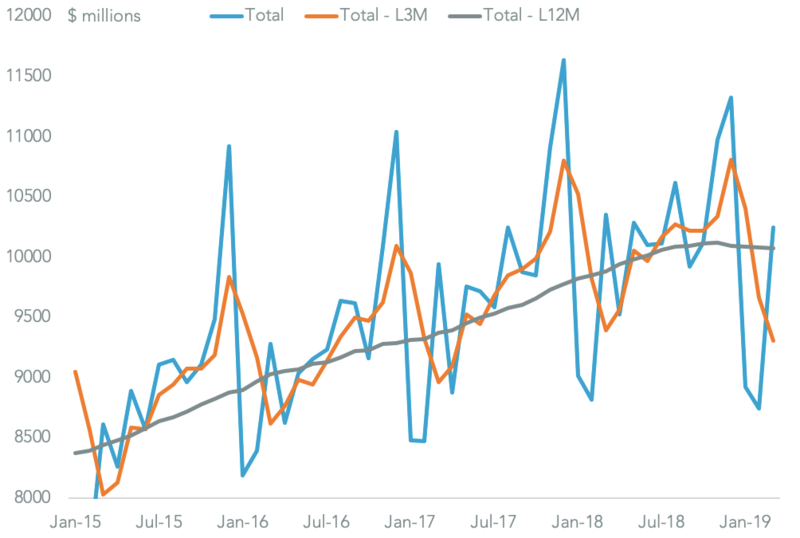 The most recent surge in volumes has been driven by new services from Maersk’s container-line whose volumes on the South Korea-Houston lane climbed 165% on a year earlier in the second quarter, taking share from CMA-CGM which rose by just 31.7%.